Tonight was week five's pickup of our farm share. After racing home (and witnessing a taxi cab run over a cyclist on the street), I made it to our farm share pickup site to pick up this week's vegetables. Normally I would have stopped to be a witness to the accident but I was really pressed for time. Besides, the guy on the bike totally deserved it. 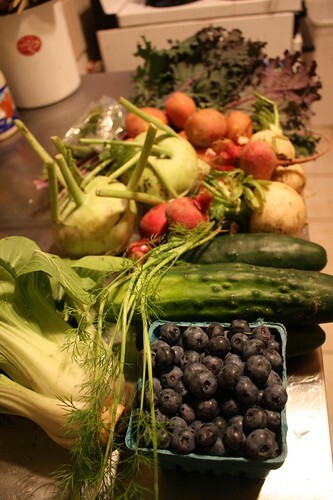 This week we got snow peas, potatoes, kale, bok choy, turnips, kohlrabi, cucumbers, dill, and blueberries. We were also supposedly supposed to get scallions but I didn't see any available for pickup. Tonight was also the New York Philharmonic Concert in Central Park. 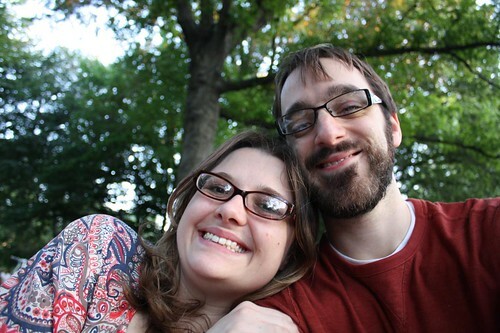 This is an event we have somehow managed to catch each year we've lived in New York City. The challenge is in us both rushing out of work, getting there early enough to claim any parcel of grass in the park, and actually finding each other. This year we somehow ran into each other right by some bizarre statue I'd never seen before of a guy riding a horse with raised swords that said "Poland" at the base. 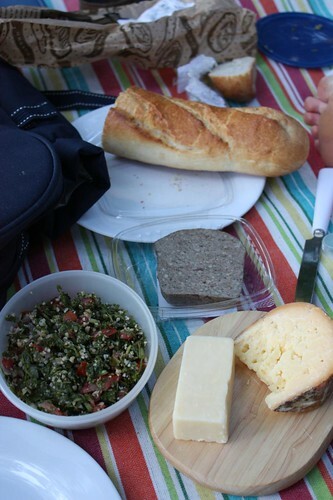 The picnic dinner consisted of baguette, tabouli, and country pate. 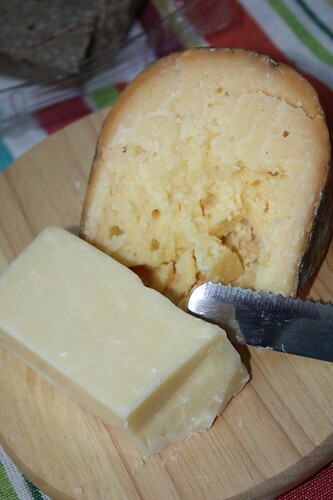 The mahon and raw mild cheddars were a wonderful pick for tonight unless you are Jen who thanked me for getting the cheese by saying, "What, no French cheeses?" Apparently the baguette, and rustic pate were not enough of a celebration of Bastille Day for her tastes. 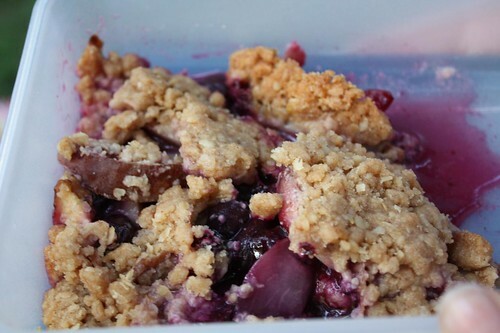 Jen took advantage of a golden opportunity by making a white nectarine and Jersey blueberry cobbler last night before bed. 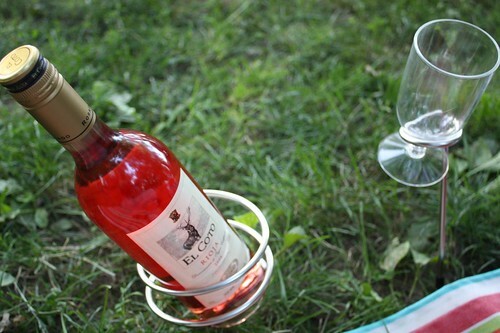 We enjoyed this along with some leftover chocolate chip cookies she'd baked the previous day. All told this was a pretty good concert in the park. It definitely ranks above the year that we arrived ten minutes before the end of the concert, barely witnessed a fireworks display behind some trees, got caught in a torrential downpour, and then had to wait in a rain-soaked line to get in the subway at 86th street for about 45 minutes.